Brian J McGarry Interiors has provided clients with creative design services since 1993. 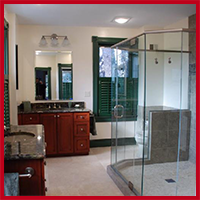 We work with you on kitchen and bathroom designs that fit your lifestyle. Our goal is to provide you with a space that is both beautiful and functional. Do you find yourself running out of cabinet space? Based on understanding your needs, we match you with quality cabinets that complement your décor and expand your storage space. We also recommend and facilitate your selections of all of the products needed in your renovation project. It's often difficult to visualize what changes you want for your kitchen or bath. If you're not sure about design options, we share photos of our work and provide floor plans and elevations of all areas. We will help you to make the best use of limited space. Create the ideal kitchen or bath when you contact our interior design firm. 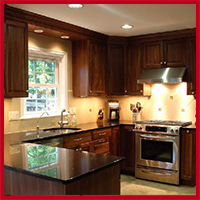 Transform your residence with home improvements from our creative team in Alexandria, Virginia. 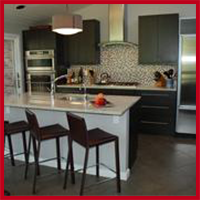 Brian J McGarry Interiors is a full-service interior design firm specializing in kitchen and bath design. We place an emphasis on space-saving planning for smaller kitchens and baths, so we help you make the most of your area. Our business owner has a long history of industry experience and works with you during every step of the design process. His photographs of the projects we've designed have been nationally published in Signature Kitchens and Baths. Calls Accepted From 9 a.m.–5 p.m.